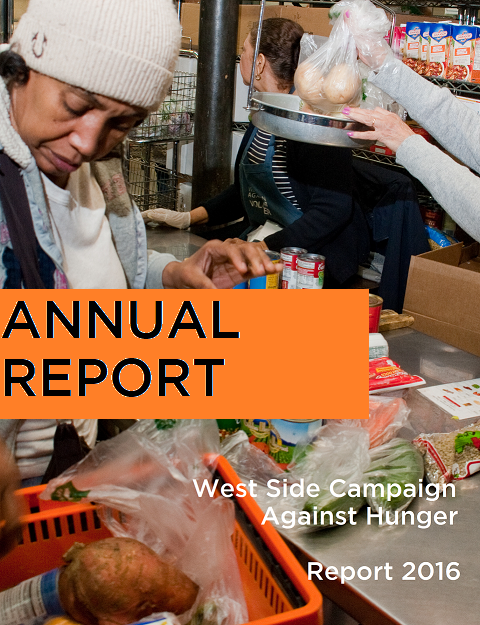 West Side Campaign Against Hunger is a fact-based organization that keeps careful track of all the work it does to help New Yorkers. You can read about how we help in the Annual Report. West Side Campaign Against Hunger also keeps administrative and fundraising costs to a minimum at a healthy 13% of overall expenses. Did you read about us in the Times? West Side Campaign Against Hunger alleviates hunger by ensuring that all New Yorkers have access with dignity to a choice of healthy food and supportive services.